Arrest: Officers responded to a suspicious man near Prospect Street, then took Justin A. Steffy into custody. Steffy, 27, of North State Street, Girard, was wanted on a Hubbard city warrant. Assault: A man alleged his former girlfriend’s father came to his Taylor Avenue residence, then choked him from behind, punched the accuser in the back and kicked his face. Arrest: After pulling him over near West Liberty Street, officers charged Corey Grombacher, 30, of Garfield Street, McDonald, with operating a vehicle impaired. Grombacher refused to submit to a Breathalyzer test, a report stated. Harassment: A Girard man said he’s received a series of such calls, some of which contained claims he was to get a refund. Assault: A man alleged that while walking on Lawrence Avenue, another man threw him to the ground and punched his face. Burglary/assault: A woman told authorities that she returned to her East Wilson Avenue home to find her former boyfriend in the residence before he reportedly punched her three times in the face and fled on foot. Criminal mischief: A woman noticed damage to the trunk of her vehicle that was parked in the 100 block of Crumlin Avenue. 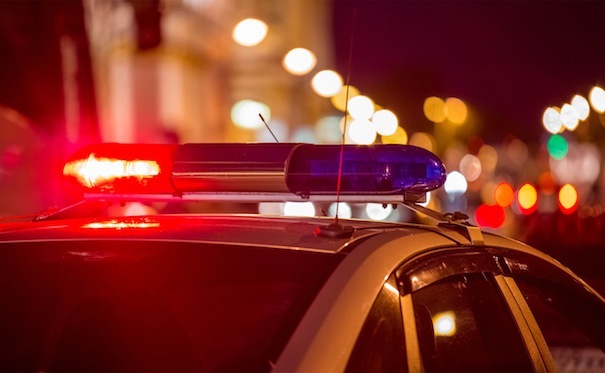 Trespassing: Police responded to a Jeep on private property in the 1000 block of North State Street, where they charged Anthony V. Moffo, 20, of Kleber Avenue, Austintown, and Thomas R. Hassay, 23, of Mahoning Avenue, Youngstown, with criminal trespassing. The two men also were trespassing on a set of railroad tracks, a report stated. Weapons: Two suspicious men in the 10 block of Market Street reportedly caught officers’ attention before they charged Joshua A. Davis, 22, of West Liberty Street, Girard, with carrying concealed weapons. Davis had on his person a pocket knife and a larger knife in a sheath, a report showed. Possible burglary: A woman reported having noticed a side door open to her East Prospect Street residence, though police found neither anyone inside nor signs of a theft. Theft: A man and a woman left a State Street business and reportedly realized a cellphone, a fleece jacket and a wallet were missing from their car. Theft: A Maple Avenue man reported a jacket, a flashlight and various cellphone chargers had been taken from his vehicle. Citation: Officers in the 500 block of East Liberty Street pulled over and handed a minor-misdemeanor citation to Raymond A. Agnone III, 22, of Mansell Drive, Liberty, charging him with having suspected marijuana in a pack of cigars. Incident: Two East Howard Street residents showed police copies of what appeared to be a single-page manifesto that had been left at their door or mailbox, and that contained propaganda as well as incomprehensible ramblings. Trespassing: A woman told officers she believed a Uber driver who had dropped her off at her North St. Clair Avenue home returned a short time later and left an unwanted note at her front door that indicated his possible interest in dating her. Theft: Roughly $5 in loose change was removed from a vehicle in the 200 block of South Market Street. Trespassing: Surveillance coverage from an East Kline Street residence reportedly revealed someone entering a vehicle’s passenger side, though it appeared nothing was missing. Criminal mischief: A Church Hill Road man discovered a sliding door to his storage shed had been forced open. Trespassing: An East Liberty Street woman reported a man had knocked on her door and inquired about political signs in her yard, then said he would tear down other such signs in the neighborhood. Trespassing: A Maple Avenue woman noticed her vehicle was entered, though nothing seemed to have been stolen. Arrest: A traffic stop near Goldie Road led to the arrest of Victor M. Cabrera, 27, of Lauderdale Avenue, Youngstown, who faced a resisting-arrest charge. Cabrera resisted efforts to be handcuffed, police said. Theft/animal neglect: A manager of a Church Hill-Hubbard Road mobile-home park reported a TV, a gas stove and a refrigerator missing after having evicted a man and a woman. Also, an abandoned cat was found, a report showed. Arrest: Police responded to a shoplifting situation at Walmart, 200 Goldie Road, where they took Michael J. Webb, 40, into custody. The Cleveland man was wanted on a probation-violation charge from Cuyahoga County. Theft: A manager with a Belmont Avenue motel discovered a 32-inch flat-screen TV was missing from a room. Burglary: To a home in the 100 block of Euclid Boulevard, possibly via a front window. A water meter and copper piping were removed from the basement. Theft/criminal damaging: A Euclid Boulevard woman discovered someone had entered her garage, smashed a driver’s-side window to her car and removed a $400 TV deck. Fraud: A Keefer Road man who visited his Belmont Avenue bank found out 42 unauthorized charges that totaled $14,940 had been made against his account. Drugs: Officers responding to a possible drug overdose on Logan Gate Road charged Herman J. Wolf, 73, of Logan Gate, Liberty, with corrupting another with drugs, a third-degree felony, permitting drug abuse, possessing drug paraphernalia and drug-abuse instruments, and tampering with evidence after alleging Wolf admitted he and a woman, who was reportedly found unresponsive after collapsing in a bathroom, had used cocaine. In addition, Wolf had a bag with a substance that was mixed with cocaine he had given the victim; he also threw away a syringe in the kitchen, where a spoon with burn marks common in drug use was also found, authorities further alleged. Arrest: Police responded to a vehicular accident with a possible injury near Belmont Avenue and Gypsy Lane, where they charged Joanna Richardson of Elruth Drive, Girard, with operating a vehicle impaired. Richardson, 59, refused to submit to a breath test, a report stated. Trespassing: Police issued a criminal-trespassing warning to a Liberty woman, 56, after a manager with a West Liberty Street laundry facility reported she had caused a disturbance and refused to leave. Harassment: A server with a state Route 304 restaurant told police a man called and yelled at her regarding an incident between them a week earlier. Possible stolen property: A woman who was cleaning a Rebecca Avenue residence said she found a $100 cellphone that matched the description of a phone that had been stolen in a burglary to her home nearby. May 5, 2018 3:28 p.m.
April 21, 2018 3:44 p.m.
April 27, 2017 9:51 p.m.